All published material by Free Spirit Publishing Inc., including text, illustrations, graphics, and audio, is protected under copyright law. You must obtain permission in writing from Free Spirit if you wish to reproduce our material in any form. All permission requests must be submitted in writing, either by email, fax, or mail. It is not Free Spirit’s policy to grant requests verbally. Your request will be processed faster if you apply online at www.copyright.com. For all other permission requests, please complete our permission request form. Requests are generally processed in 3–4 weeks and we encourage you to send your request as early as possible. If you have a specific date by which you need permission, please let us know and we will try to accommodate your request, although we cannot make any guarantees. Please be advised that in order to protect our intellectual property and our authors’ rights, we may need to charge a fee. Questions? Please read the following FAQ. Contact permissions@freespirit.com if your query is not addressed in the FAQ. What Free Spirit materials are protected by copyright? When do I need to request permission from Free Spirit? How do I request permission to photocopy pages from a Free Spirit book? How do I obtain permission to include Free Spirit content in another publication? Does Free Spirit grant permission and/or offer site licenses to make print publications available in electronic format on an intranet, a flash drive, or an online page? How do I obtain permission to use a Free Spirit publication at a conference or in a multimedia presentation? Does Free Spirit grant permission to translate an excerpt or an entire publication into another language for sale outside the United States? How long will it take to obtain permission? I have permission from the author. Do I still need to request permission from Free Spirit? Do I need to request permission each time I wish to use Free Spirit content? Will a fee be charged? How much will it be? Is there a limit to the amount of material I may request to use? All material published and produced by Free Spirit is protected by copyright. This includes but is not limited to: books, text, illustrations, audio, photos and other images, CD-ROMs, DVDs, jars, posters, card games, website content, e-newsletter content, blogs, and catalogs. Free Spirit materials that do not include a copyright notice (e.g., copyright © 2009) are still protected by copyright law. 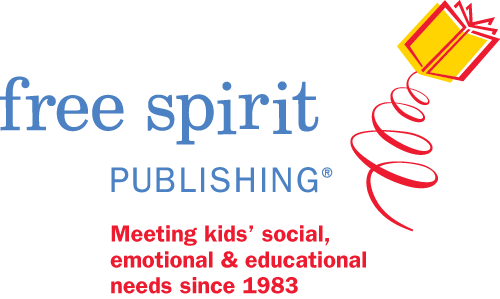 Free Spirit, Free Spirit Publishing, and associated logos are trademarks and/or registered trademarks of Free Spirit Publishing Inc. and may not be used without written permission. Please see below for a complete listing of our logos and trademarks. Generally, if you wish to reproduce or reprint Free Spirit material in any form, you will need to obtain written permission. If you are quoting or paraphrasing a very small portion of our material, contact us and we will help you determine if permission is required. When in doubt, always seek permission first. In some instances, using copyrighted material specifically for the purposes of criticism, comment, news reporting, teaching, scholarship, or research without the permission of the copyright holder is permitted as fair use under U.S. Copyright Law. If permission is not required, we ask that you still credit Free Spirit Publishing as the original source. For more information on fair use and copyright in general, please visit the U.S. Copyright Office website. For nonacademic photocopy requests, please complete our permission request form. In order to process your request in a timely manner, be sure to indicate which pages from our book you wish to copy, how many copies you would like to make, and for what purpose. Failure to include this information will significantly delay the processing of your request. If permission is granted, you must send two copies of your work upon publication to Free Spirit. Does Free Spirit grant permission and/or offer site licenses to make publications including CD-ROMs available in electronic format on an intranet, a flash drive, or an online page? If seeking permission to reproduce Free Spirit material on the Internet, please also indicate whether your website is password protected. Please also specify whether this will be a single or ongoing presentation. You may obtain permission to translate an excerpt into a foreign language by completing our permission request form. If you are seeking permission to translate an entire Free Spirit publication, please direct your query to our International Rights department, at rights@freespirit.com. Generally, Free Spirit does not grant translation rights for an entire book to an individual, but rather licenses foreign language rights to other publishers. For more information on what rights have already been sold, please visit our International Rights page. Since many requests require research, we cannot guarantee a precise turnaround time. Generally, Free Spirit will process your application in 3–4 weeks and we will contact you if additional information is required. Should you have a specific deadline, please let us know and we will make every effort to accommodate your request. For follow-up inquiries or for further information, please send an email to permissions@freespirit.com. Yes. Free Spirit is the copyright holder and you must obtain written permission to use our material. In some instances, the rights will revert back to the author when a book is no longer in print. If you are seeking permission to reprint from an out-of-print book, we will notify you of its status and will forward your request to the current copyright holder. Yes. 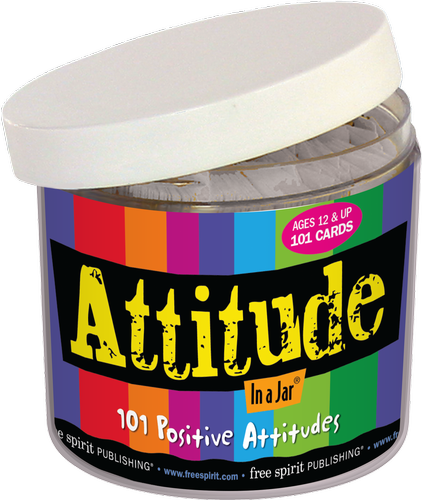 In most cases, Free Spirit grants nonexclusive permission for one-time use only. Unless the permission agreement states otherwise, you must submit a request each time you wish to excerpt or adapt our material even if permission was granted for a prior edition or format. Additionally, site licenses are valid for a limited time only. In order to protect our intellectual property rights and the rights of our authors, we may need to charge a fee. Please be as specific as possible when completing the permission request form to ensure that we can fairly determine the costs for all rights. As a general rule, our policy allows for no more than 10 percent of a book to be reproduced. When requesting permission, please keep this amount in mind. The following are trademarks and registered trademarks of Free Spirit Publishing Inc. Trademarks, both images and words, are protected by law and cannot be used without permission. To find out more about the books and products covered by these trademarks, please click on the links.